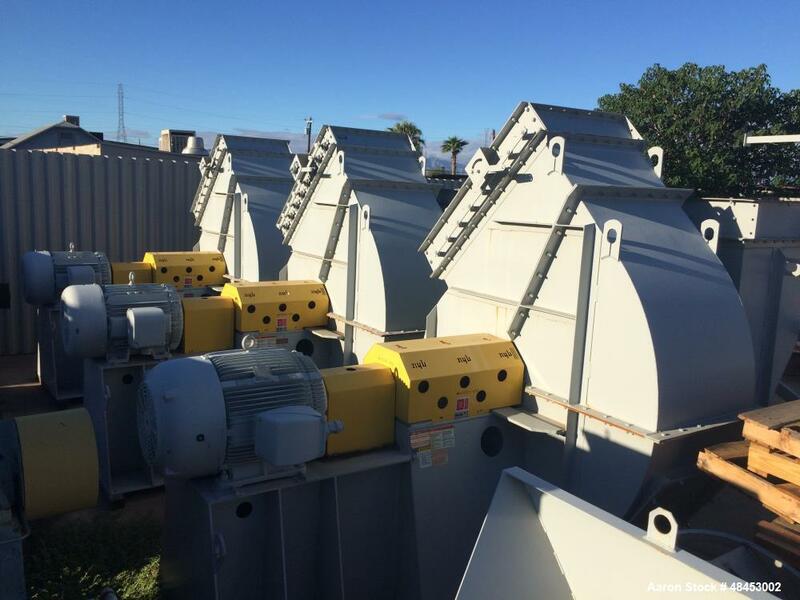 Below is Aaron's inventory of unused and used blowers. If you are looking to sell your used blower submit a request online or contact Erik Eichert at 630-238-7480. 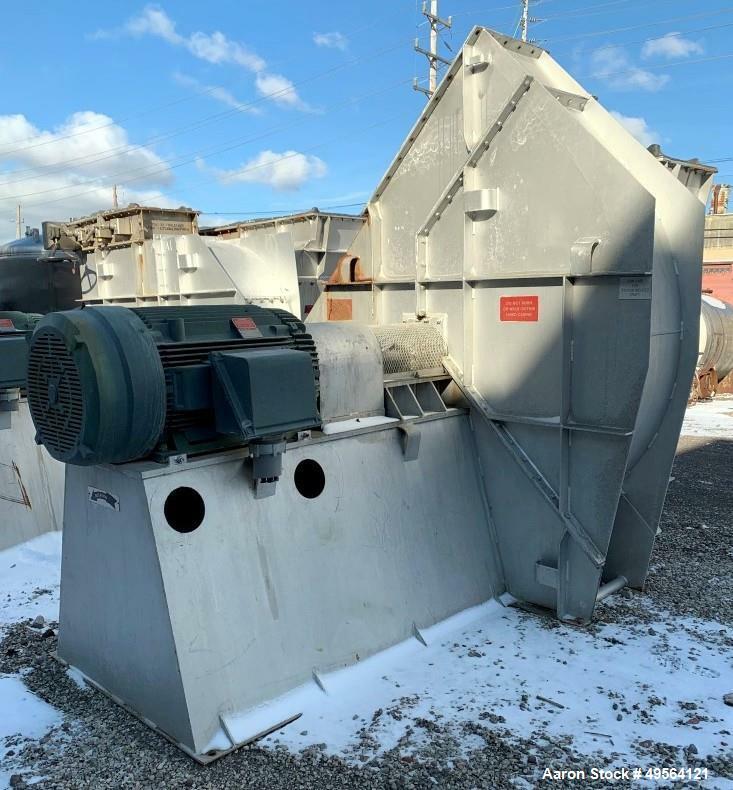 Unused- Twin City Size Blower / Fan. Used- New York Blower Company Backward Inclined Fan. Class IV SWSI - PLR. Size 406, 40,000 CFM. 8.66 SP, 1766 RPM, 100 BHP. 0.041 Density, Max safe speed 1870. Includes inlet box damper. 96.0% Width wheel, shaft cooler, guard and high-temp paint. Mfg. 2007. Used- New York Blower Company Backward Inclined Fan. Class IV SWSI - PLR. Size 406, 40,000 CFM. 8.66 SP, 1766 RPM, 76.2 BHP. 0.041 Density, Max safe speed 1870. Includes inlet box damper. 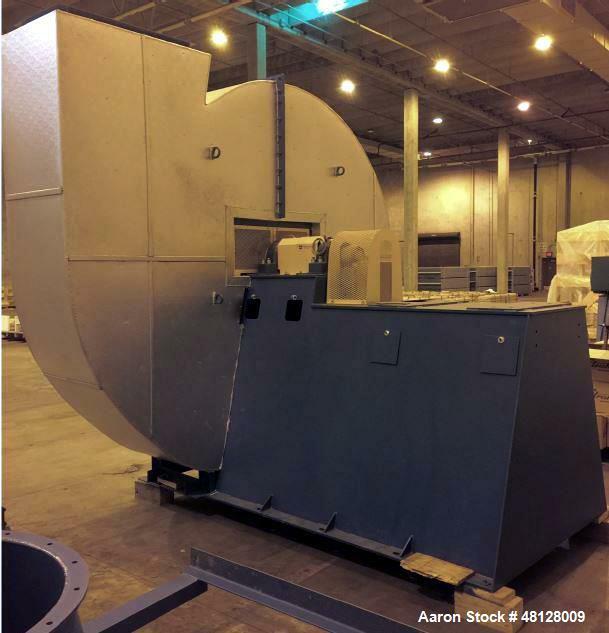 96.0% Width wheel, shaft cooler, guard and high-temp paint. Mfg. 2007. Unused- New York Blower, Model 40 PLR. Backward inclined SWSI class 3, size 30 arrangement 1 top horizontal. Motor position Z clockwise rotation + 100 hp. 1800 rpm motor Fr 444T 3/60/460 +. Mfg. 2014. 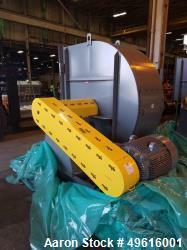 Unused- New York High Pressure Blower, Carbon Steel. Wheel size & type 2103 Steel, rated 100 CFM at 20.8" SP at 3500 rpm. Driven by a 3hp, 3/60/460 volt, 3450 rpm motor. Shop# H05303-01, built 2013. 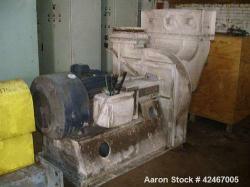 Used- New York Blower, Pressure Blower. 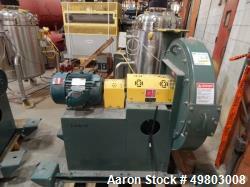 Used- New York Blower Pressure Blower, Carbon Steel. Rated 538 CFM at 30.6 SP at 2923 rpm at 5.29 BHP. Driven by a 7.5hp, 3/60/460 volt, 3510 rpm motor. Shop# Z11509-105, built 2005. 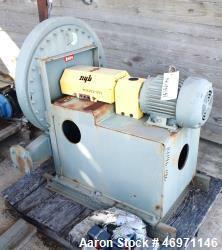 Used- New York Blower Pressure Blower, Carbon Steel. Rated 538 CFM at 30.6 SP at 2923 rpm at 5.29 BHP. Driven by a 7.5hp, 3/60/460 volt, 3510 rpm motor. Shop# Z11509-100, built 2005. Used- Twin City High Pressure Blower, Type RBA-SW, Size 913, Carbon Steel. Approximate 3906 CFM. Driven by a 30hp, 3/60/230/460 volt, 3520 rpm motor. 14" Inlet. 12" x 9" Outlet. Class 45. Serial# 04-190730-1-1. Used- Robinson Air Ring Blower. Approximate 5840 CFM, Static pressure of 20 oz. Driven by a 50 HP, 3/240/480 volt, 3500 rpm motor. 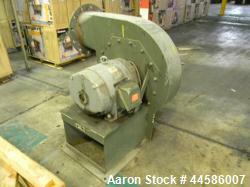 Used- Cincinnati Fan Blower, Model RBE-19, Carbon Steel. 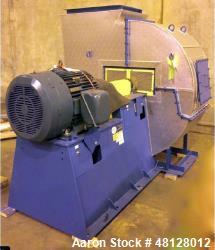 Used- Cincinnati Fan Radial Blade Exhauster Blower, Model RBE-19, Carbon Steel. Approximate 13,700 CFM. Driven by a 60hp, 3/208-230/460 volt, 1770 rpm motor. 18" Diameter inlet. 16-1/2" x 19" outlet. Serial# 9717252. Unused- Twin City Size Blower/ Fan, Model 400. Used- Blower, Carbon Steel. Approximate 8" x 44" housing. Driven by a 200 HP, 460 Volt, 3570 RPM motor. 12" x 36" inlet, 8" x 16" outlet. 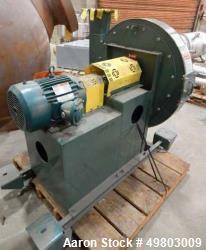 Unused- Twin City Size Blower/ Fan, Model 937. 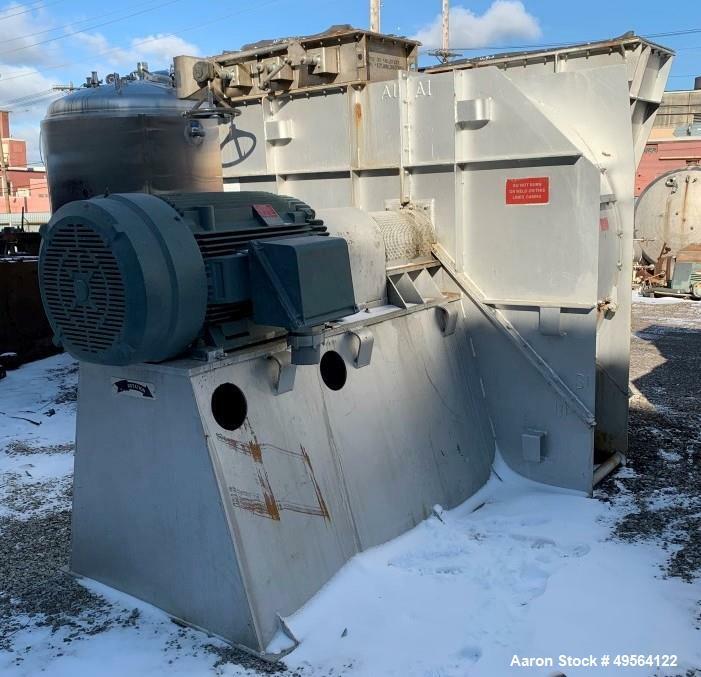 Used- Robinson Industries 350 HP Radial Blower, Type RB122. 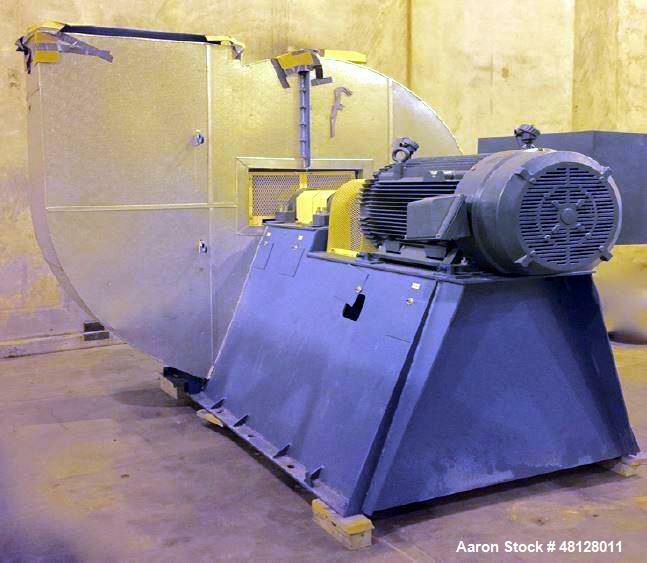 Size 49- 1/" fan, with 350 hp, 460 volt motor, 21" x 42" tangential discharge, 24" x 72" top inlet opening. Serial# 102564. Used- Robinson Industries 350 HP Radial Blower, Type RB122. 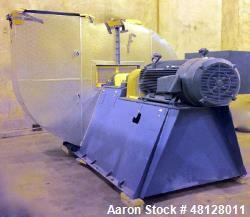 size 49- 1/" fan, with 350 hp, 460 volt motor, 21" x 42" top discharge opening, 24" x 72" top inlet opening. Serial# 102563. Unused- Twin City Size Blower / Fan. Model 730. BCN, Class L, CW ROT. Estimated shipping height 125 inches, (317.50 cm). 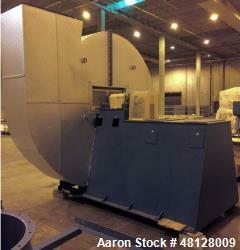 Twin City size 730 Fan, BCN SW Class H. Rotation clockwise, UBD discharge, ARR 8, flow capacity 45,769 CFM. Mader dampers VIV with Hytork Autuator. Estimated shipping weight: 7,159 lbs. / 3247.32 kg. Year 2013. Unused- Twin City Size Blower/ Fan, Model 400. 100 hp, flow capacity 19583, CFM at 1778 rpm. Rotation Counter Clockwise. 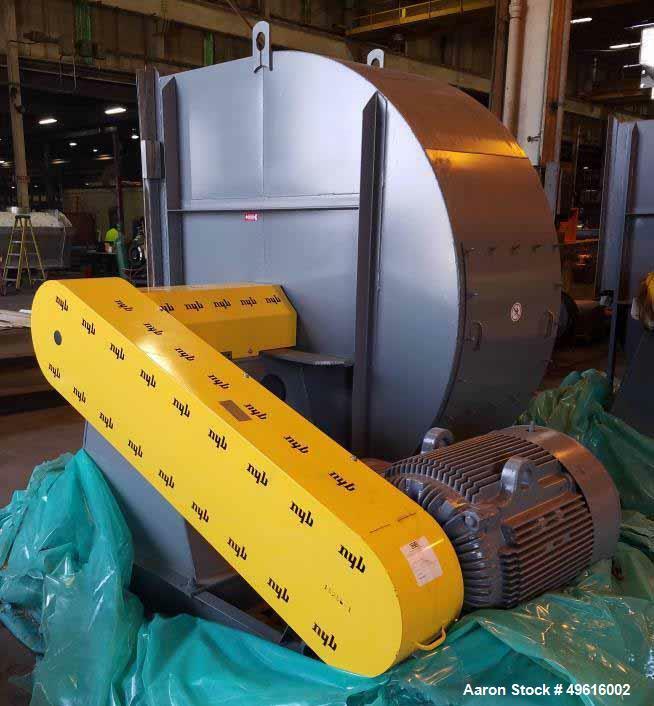 Discharge UBD, ARR-8 with 100 hp motor mounted. Voltage: 460V, 60Hz, 3Ph. Estimated shipping weight 3,900 lbs. / 1769 kg. Estimated shipping length 95 inches (241.30 cm). Estimated shipping width 75 inches (190.50 cm). Estimated shipping height 80 inches (203.20 cm). Year 2013. Unused- Twin City Size Blower/ Fan, Model 937. RBA Class 45, 250 hp. Estimated shipping weight 8,450 lbs. / 3832.92 kg. Estimated shipping length 100 inches (254.00 cm). Estimated shipping width 105 inches (266.70 cm). Estimated shipping height 105 inches (266.70 cm). 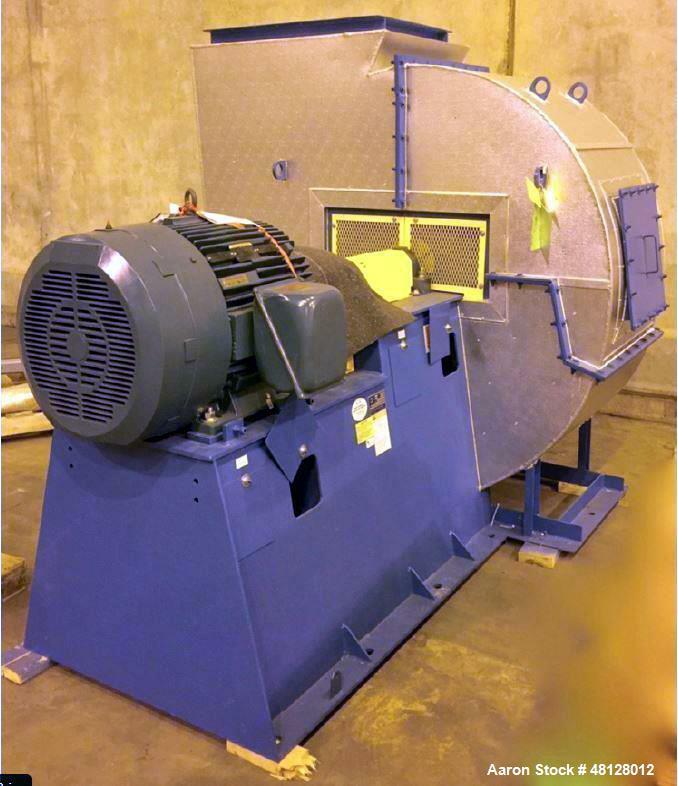 Rotation: counterclockwise, UBD discharge, flow capacity: 16,600 CFM, Mader dampers VIV with Hytork actuator. Electrics: 460V, 60Hz, 3 phase. Year 2013.